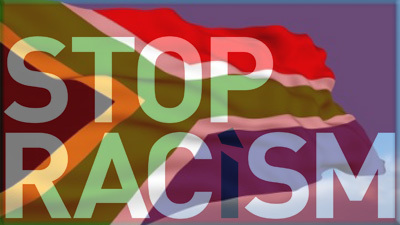 Kathrada Foundation launches racism report app - SABC News - Breaking news, special reports, world, business, sport coverage of all South African current events. Africa's news leader. The Zimele Racism Report App allows the upload of pictures and videos of a racism incident. Incidents of racism can now be reported with just a tap of a button. The Ahmed Kathrada Foundation and other stakeholders launched the Zimele Racism Report App this week. The Zirra app was launched in Johannesburg in the build up to Human Rights Day. From the tirades of the k-words to the most shocking racial outbursts, South Africa is a country haunted by the ghosts of apartheid. These social ills have inspired 24-year-old Zano Mngadi to develop an app to fight racism. Mngadi says the Zirra app will assist victims of racism to blow the whistle. The app allows the upload of pictures and videos of a racism incident. Users may also report someone else’s case. A report will be submitted in less than five minutes. The question is however, where do the reports go? Busisiwe Nkosi from the Ahmed Kathrada Foundation says that the reports go directly to the Foundation. Gail Smith, SA Human Rights Commission says that the app will also make the Human Rights Commission’s work load lighter. Now the next step is to get subscribers. This entry was posted on 19 Mar 2019,06:09PM at 6:09 PM and is filed under Sci-tech, Homepage Latest Stories Slider, Homepage Featured Story Slider. You can follow any responses to this entry through the RSS 2.0 feed. Both comments and pings are currently closed.